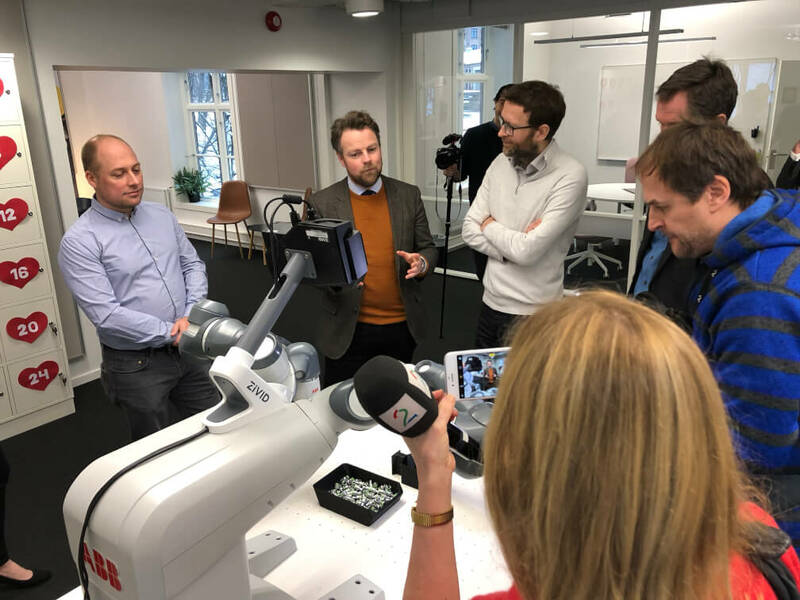 OSLO, Norway, November 6, 2018 – Zivid, the 3D machine vision camera company, has introduced a range of three new full color 3D cameras. 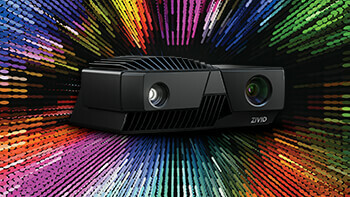 Building on the success of the Zivid One, the company's foray into providing human-like 3D vision, the Zivid One Plus S, M and L (small, medium and large range) are faster, more accurate, and provide more flexibility for industrial applications. The Zivid One Plus portfolio matches the needs of a broad spectrum of robotic and industrial automation systems. A 30% improvement in general acquisition speed over previous generation 3D camera in addition to 3x faster HDR enables even shorter robot cycle times for faster ROI. With 30µm and 70µm depth precision respectively, the S and M models provide improved speed and accuracy combined with optimized field of view and image resolution capabilities. For the detailed inspection and verification of very small objects, typically presented in trays or open containers, the Zivid One Plus S camera operates over a focal distance of 0.3 to 1 meter and provides a maximum field of view of 650x480mm. The camera’s spatial (x-y) resolution is 0.12mm, with an extremely accurate depth (z) precision of 0.03mm, at 0.3m. The Zivid One Plus M occupies a similar application space to Zivid’s first product, the award-winning Zivid One, and suits a wide range of picking and assembly tasks. Its reach is greater though, working optimally from 0.6m to 2.0m. The medium range camera has a maximum field of view of 1370x900mm, with a spatial (x-y) resolution of 0.23mm and 0.07mm at 0.6m. Zivid One Plus M is aimed at picking of small to medium sized objects carried in standard totes or bins. 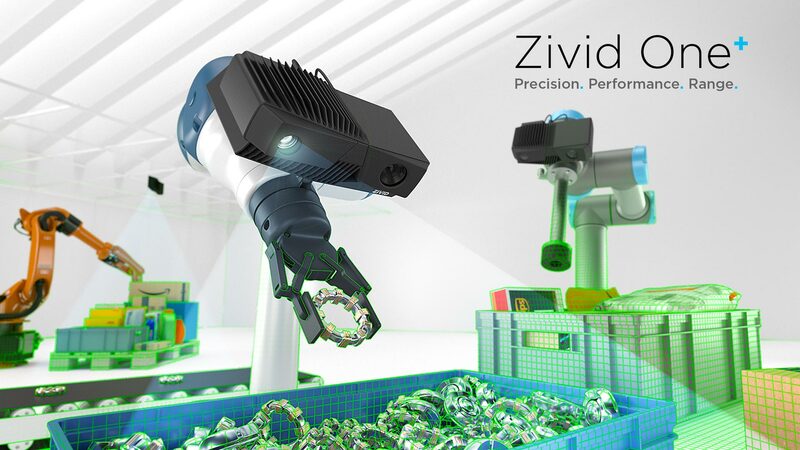 Finally, for the picking, handling and depalletizing of much bigger objects, the Zivid One Plus L provides the ideal 3D camera solution. Its large field of view of 2110mmx1360mm at a maximum operating distance of 3m handles standard Euro Pallet applications carrying a mixed load of boxes, totes and free-standing objects. Technology wise, Zivid One Plus shares the same unique attributes as the original Zivid One. Using a principle of time-coded structured light projection, the cameras capture 3D (XYZ), color (RGB) and quality (Q) data on a single sensor chip. They operate at an acquisition rate of up to 13Hz to produce vivid high definition 3D color images of even the most difficult of target object materials. A high dynamic range, built-in hardware and software reflection filters and a rapid response electronic iris mean the Zivid One Plus enables the 3D color imaging of translucent, bright metallic and light-absorbing dark objects all at the same time, without compromising on speed. Each HD image captured by the camera is 1920x1200 pixels (2.3MPix) in size. The three new Zivid One Plus cameras each come in the same rugged black aluminum casing rated to IP65. They are dust and water-resistant, have an operating temperature range of 10ºC-40ºC and resist a 25G shock. The cameras are also highly compact (226mmx165mmx86mm) and lightweight (2kg), making them ideal for robot arm mounting. A USB3.0 port provides camera connectivity. 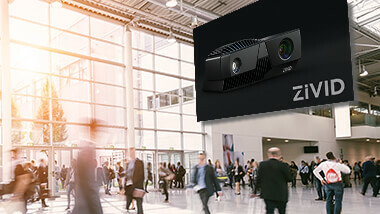 Factory calibrated and intuitive to use, the Zivid One Plus cameras are designed to be ‘plug and play’ and are supported by software interfaces for popular machine vision software via. 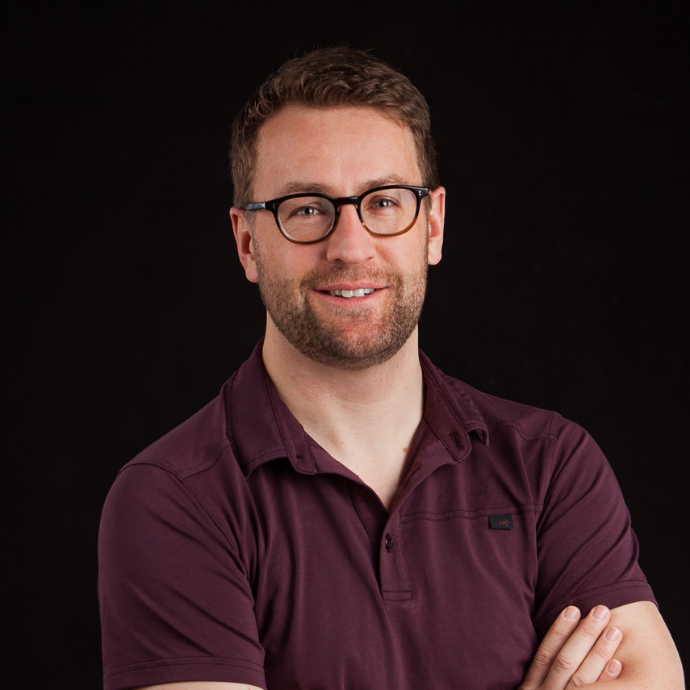 GeniCam and a modern high-level API for C++, C#, .NET. The Zivid One Plus is shipping in limited numbers from November 2018, with broad availability in Q1 2019. More information is available here. ← Zivid brings speed of random bin-picking up to 1000+ picks an hour.